Can You Still Contribute to an IRA if You Are Drawing a Pension? Receiving a pension doesn't automatically make you ineligible for IRA contributions. 1. Can I Make a Roth IRA Contribution in a Year When I Rolled Over an IRA? 3. Can You Make a Roth IRA Contribution If You Have No Earned Income? Drawing a pension by itself won't disqualify you from contributing to an IRA, but other related circumstances might. If you qualify, you can't exceed the annual contribution limits. You're limited to $6,000 in 2012 and $6,500 in 2013 if you're 50 or older, and you're limited to $5,000 in 2012 and $5,500 in 2013 if you're under 50. Even if your pension counts as taxable income, it won't satisfy the compensation requirement to contribute to an IRA. Compensation only includes amounts paid for work done that year, such as your salary or net self-employment income; alimony received also counts as compensation. If you've ceased working and live off your pension only, you won't have any compensation and won't be allowed to contribute. If your compensation is less than your annual limit, you can't contribute more than your compensation. For example, suppose you still work on a very limited basis. If your compensation for the year, not including your pension, is $3,000, that becomes your contribution limit. If you're married filing jointly and your spouse is still working, her income could be your ticket to contributing to an IRA even if you're retired. 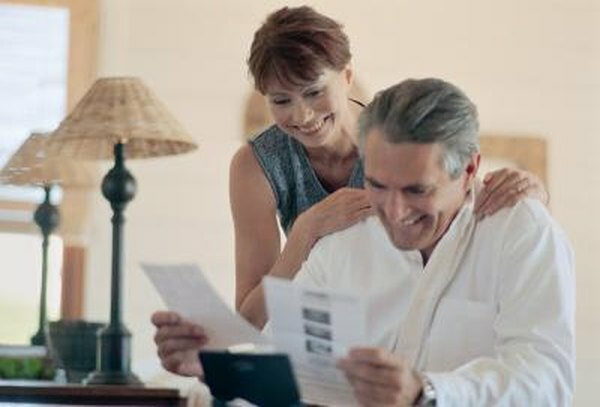 When you file a joint return, you can rely on your spouse's compensation because the IRS doesn't care which one of you earned it. Say your spouse still works full-time and brings home $60,000. Since there's more than enough compensation left for you even if she maxes out her IRA contribution, you meet the compensation requirement. If you're drawing a pension, there's a chance you've already reached the traditional IRA age limit. Starting in the year you turn 70 1/2 years old, your traditional IRA can't accept any more contributions, although you can still roll over money into the account from other retirement accounts. On the other hand, if you're hoping to contribute to a Roth IRA, you can never be too old. If you have a sizable pension and other income, you might find yourself over the modified adjusted gross income limit for contribution to a Roth IRA. Your MAGI doesn't just include your compensation; rather, it includes all your taxable income for the year except income from conversions to Roth IRAs, so your pension counts. The MAGI limits differ from year to year, and are higher for joint filers than for single filers. Traditional IRAs don't have income limits on contributions, but if you're still working and you participate in an employer-sponsored plan, income limits apply in determining whether you can deduct your contribution. Can I Contribute to an IRA If I Get Alimony? Can I Contribute to an IRA the Same Year Job Terminated With a 401(k)? How Much for an IRA Contribution for Over 50? Can Long-Term Disability Be Contributed to an IRA? When Are Catch-Up Contributions Allowed in an IRA?